Before creating new technologies, we must think about how to create the right values to be also able to sell it. All the technology that is required for “Industry 4.0” is available today already, so in fact Industry 4.0 can be seen more than an innovation driver for new businesses that are not exploited today, than an innovation driver for technology. If these existing technologies are assembled properly together and combined with the right business models, there is really good chance to profit from Industry 4.0. 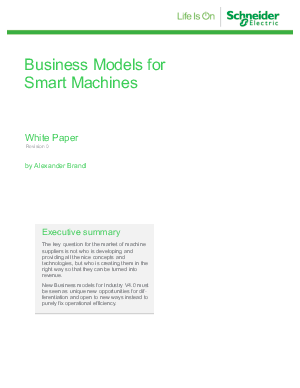 This white paper looks into the ways one can profit from Industry 4.0 by differentiating through new business models.